What an exciting couple of weeks we’ve had here in our Google + community! English 333 students really stepped it up a notch and showed us what they are made of! In week one of our second make cycle we read chapter one plus two studies in our book About the Authors, watched a hilarious and inspirational TED talk from Mac Barnett, and then followed them up with one post about our readings, and one post about writing ideas and Barnett’s talk. Some amazing stories were then created by our fellow students. This passage helped me realize that if we nurture this idea in children at an early age and continue it on throughout their schooling, then we as teachers are likely to help our students grow into readers and writers that do more than just read and write, but analyze and comprehend on a higher level. The text we read were truly exceptional readings. The next week was filled with such an incredible variety of stories and idea inspiring texts. Reading The Dot, Alexander and the Terrible, Horrible, No Good, Very Bad Day, and The Mysteries of Harris Burdick, really inspired so many students to make some incredible stories of their own! There were so many excellent stories made by my fellow classmates that I found it hard to narrow it down to just three. But I did my best! I’d like to start off with Caleb Johnson’s “Tap Tap Tap,” a story of Matty, a young blind boy. Though he had stated it was unfinished, I felt as if what he had written was so wonderfully done. He made you feel as if you were walking right next to Matty, understanding his struggles, his insecurities, his hopes. The story continues as Matty is urged by his favorite teacher to go and try out for the Academic Decathlon. I think deep down, his teacher knew the struggles he must be going through and thought that this opportunity could really help him branch out and get to know others, and himself. The ending was my favorite part. I felt myself smiling and my heart felt so warm as I read the last two sentences, and that’s how I knew Caleb was going to be my first feature: “That night at dinner Matthew’s dad asked him what happened at school that day. ‘I think I made my first friend,’ Matthew said, and he smiled.” You get the sense throughout the entire story and really toward the end, that it must be really hard for this child to make friends. Being different can be really hard on young children when it comes to the friend-department. The way Caleb made his character come to life was amazing. If you haven’t read it yet, go do it! Trust me. 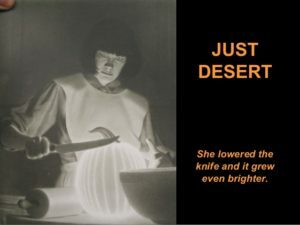 Moving on, I’d like to praise Amanda Greene on her take of The Mysteries of Harris Burdick’s photo “Just Dessert.” She brought to life an incredible precursor to the classic Cinderella fairy tale. I loved how she tied in this tale to her story, which just so happens to be a subject I had just written about in our professor’s other English class! Amanda ends her story with: “She knew this pumpkin would help her do something great one day, but for today she tucked it away in her magical room filled with enchanted objects.” The ending was great, truly great! She left it open for more should she choose to continue writing on it, but as it is, it is such an incredible set up for the carriage scene in Cinderella. Great job, Amanda, really great job! 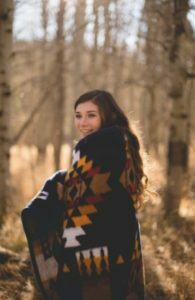 The last story I chose to highlight was a great little child’s story called “What Do I Want to Be When I Grow Up?” by Mackenna Gott. It starts out with a teacher asking her students to think that night about what they want to be when they grow up, and when they come to school the next day, to share with the class. Simple, right? Not so much for little Chloe. She spends her night bumbling over ideas of who she will be when she grows up. A policewoman, a sailor, a doctor? Not for her. Maybe a ballerina, or a rockstar, who knows, maybe a knight! Nope, not for her either. She sleeps on it and comes to such a powerful conclusion when her teacher calls on her to share. Chloe says something that I found to be powerful, she tells her teacher, “I am going to be me when I grow up. I couldn’t decide what I wanted to be when I grow up. But I know whatever I choose will be right for me.” Boom. Right there. THIS is what it’s all about: empowering children through stories like this. She knows that she could grow up to be any one of these if she puts her mind to it. But right now, that’s not what she is going to do, and that’s okay! Deciding so early on just didn’t seem right to her, but she knows that when she does choose, it will be what SHE wants, not her parents, or her teacher, or her friends, but her. Her choice. I remember finishing Mackenna’s book and with a nod said, “right on!” I love that her story actually had me vocalize my appreciation. I spend most my days tapping at a computer, my nose in a book, with all my thoughts bouncing around silently in my mind. And when something actually moves me to break my silence (silence is so rare for me having three boys), you know it’s good! Absolutely amazing, Mackenna. Though there were many great makes out there, these were the ones that touched something within me. If you haven’t read their makes, please, I implore you to do so! 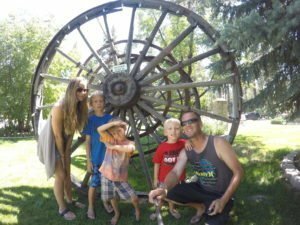 This was such a great make cycle and I am so honored to have read all of your stories and posts! Great job everyone! Author Bio: Tamara is a Liberal Studies online major at CSU Chico. She loves kids (obviously, she has three!) and cannot wait to teach them in the elementary level. She went back to school after a seven year break when she started and grew her family and is in her final semester of her Junior year. After graduating from CSU Chico, she will pursue her credential/masters program through CSU Fullerton closer to her home. In her spare time (wait, what’s spare time?) 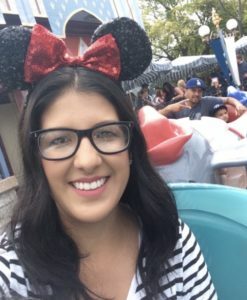 she is a wife, a mother, a student, a soccer and baseball coach, a disney employee, a classroom volunteer, and a budding writer. Her life is busy, but her life is full. Now that the introductions are out of the way and we have gotten a grasp on the format of this class, this week was about diving into the material. We started this week out by reading the first chapter in our book About the Authors by Katie Wood Ray and Lisa Cleaveland. Reading this chapter seemed to be enjoyable by all. It’s so exciting and also nerve racking to begin to see what your teaching career will really be like and what you can do to make it successful. This first chapter was primarily about how children begin to write stories, and in what ways. It also gives examples about how a teacher can encourage creativity and what activities support doing so. The class expressed a lot of excitement towards the text and how well written it is. There was also a lot of excitement about becoming teachers and using these strategies in a classroom, but some nerves were also expressed. A lot of students pointed out how even though the sample stories written by children in our textbooks had many spelling errors, they were still able to decipher the meaning of the word. I found it really incredible how even though a child doesn’t always know the exact spelling of a word, they have the confidence to spell it out and give it their best shot. All in all, everyone seemed eager to have this book as our textbook this semester, and excited to find out what Chapter 2 holds. We also watched a TED Talk this week by Mac Barnett. Barnett is an author who explains what writing to children means to him and what elements go into good writing. He explains the idea of “ wonder” and how important it is to be whole-heartedly dedicated to a story you are telling and believing every word. This is what gets children excited about stories, and begins to grow their love of writing. He also shares that he wrote a story about a whale, and he continues this story into the real world by creating a telephone line with whale noises on it that children can call. And they do. The class really seemed to love both the list making activity and the TED talk. This line had beautiful detail to it, and painted a lovely image that really brought her story to life. Also, you could really see Alice’s passion and dedication to the assignment this week. Elizabeth Salazar also wrote a beautiful story about her own personal life. She wrote the story “My Bad Baby Brother” and also introduced the class to the Storyjumper website. This story really stood out because she used a clear structure, had strong sentences, and also created a very relatable story. Her story would appeal to children because if they had little siblings, they would be able to relate to it. All in all, it was a very successful week and we got some great work done! Author Bio: Grace Taylor is a sophomore and a Liberal Studies major. She is from Santa Cruz, California and has lived in Chico a little over a year. She hopes to one day teach second grade. She speaks Spanish fluently and is on the Chico State Dance Team! The reason I chose these two lists from all the others is because these things are what I am passionate about and things are most important to me. They help make up who I am and give me insight on what I could write about in a children’s story or even a basic writing assignment. Overall, I think my FAVORITE assignment so far in this course is the children’s books we got to create. Before taking this course, I would have never imagined being able to be creative enough to write a children’s book. However, with the help of each homework assignment and video we watched, I was able to do it and so were YOU, my peers. I was amazed by all the effort and work we put together in these things. I enjoyed each and every single one I read. The two that caught my eye right away were “My Bad Baby Brother” by Elizabeth Salazar (see above in Grace’s reflection) and “Tardy Turtle Finds A Friend” by Shannon Lane. Lane’s short story told a tale of a turtle who felt lonely as can be. He then went out to venture and look for someone to be his friend. He stumbles upon many different animals including a dog, a couple cows, fish, birds, racoons, ducks and even bunnies. However, he still felt like he didn’t fit in with them. After awhile, he started to feel discouraged so he moped home when all the sudden he bumped into another turtle. He found his friend! I enjoyed this book SO much!! I think Lane’s use of vocabulary and imagery would easily relate to children. She used pictures on every page that showed the Turtle’s journey. Personally, I think this really made the story come to life. On the other hand, Salazar’s children’s book was just as relatable. Her short story tells a cute tale of a young sibling (I am assuming an older brother) who is introduced to his baby brother for the first time. The older sibling is faced with a little jealousy and feeling left behind within the first few days because all he wanted was his parents attention, but they had to take care of the newborn. Soon his feelings of jealousy turned into resentment and wishing he never had a baby brother. He even tried getting his parents to take the baby back to the hospital! However, after the older brother visited with family, he realized that having a younger brother isn’t so bad. He found that since he is older, he will be able to take charge, be a “boss” and show his younger brother what to do while growing up. I loved reading this book because I think it can relate to many children too. I assume being an only child for a few years is awesome! They get ALL their parent’s attention and love. However, I imagine being told that the family is going to have another child would be hard to hear. This book brings out a wonderful and cute lesson to families who are adding on another kid and would be good to read to those kiddos who are soon to be big siblings. 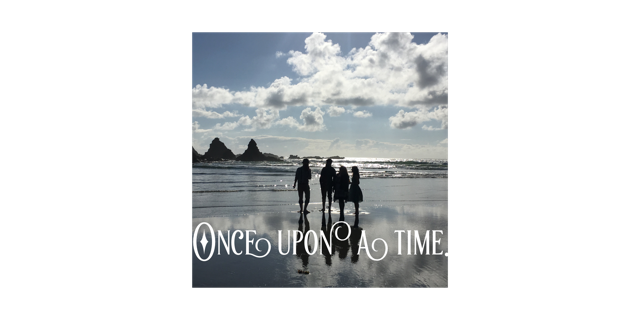 In all, I really enjoyed reading through everyone’s stories – they were AWESOME!! I am so excited to see what the rest of the semester will bring. 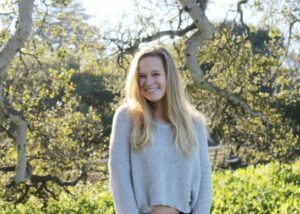 Author Bio: Sophie Tisdale is a brand new student to CSU, Chico. She started her first two years of school at a community college in her hometown near Sacramento, California. Her goal is to graduate from Chico State with a bachelor’s degree in Liberal Studies to become an elementary school teacher. The purpose of this recent two week make cycle was to learn all about storytelling. We began by reading chapter 1 from About the Authors, “Writing Workshop: A Happy Place Where We Make Stuff” (p. 1-22). After reading chapter 1 and the A and B units of study, I have gained a better understanding of the writing process especially for young students. The writing workshop is an activity that a teacher does in her classroom. She gives her students blank stapled paper that resembles a book. She then asks the children to write stories. Sure there are a lot of spelling errors and missing punctuations, but there stories were all incredible. Along with the textbook reading we also had mentor texts to read. They were really helpful in making that connection to storytelling. The mentor texts included were: The Dot, Alexander and the Terrible, Horrible, No Good, Very Bad Day, and The Mysteries of Harris Burdick. All of these stories can resonate with any reader. I loved how the stories were all from a child’s perspective. The authors all had their own style but they had a lot of similarities such as: positive/negative attitudes, children’s point of view, and repetition. If you are a future teacher, I highly recommend any of these stories for read alouds. Lastly, for this week’s make cycle Professor Jaxon gave all of us freedom to write a story about whatever we wanted to. She assisted us with the writing process by having us fill out lists that she provided such as things to do before you die or things that scare you. There was also few restrictions on how we shared our stories. My classmates created some incredible stories. Many which were inspired from the mentor texts and personal experiences. It was difficult to narrow it down to a few because they were all so great. The first story is, “My Good Day,” by Ismael Munoz. This story is about an adorable little boy that despite all of the negative things that occur throughout the day, he choses to focus on the positive. Ismael stated that he was inspired by Alexander and the Terrible, Horrible, No Good, Very Bad Day. I did notice he used repetition as well as having a child’s point of view. The issues that arose through the character’s day are definitely relatable for any child. He did a great job writing his story. The next story I’d like to highlight is, “Talbot the Terrible Troll,” by Kaia Enstrom. In Kaia’s story the character is a mean troll that refuses to be nice. I loved the story and the use of alliteration. Just as the book, The Dot, Kaia decided to end her story with a happy ending. I also liked how she was inspired from her own heritage to write this unique story. This was a fun and engaging make cycle! I really enjoyed learning all about storytelling. It has really opened my mind to the writing process and how I will go about teaching it to my future students. I will remember to strive for progress and not perfection. I will also remember that writing should be fun and I should not limit the writing topics but instead give my future students free choice: they might just be the next J.K. Rowling! Author Bio: Elizabeth Salazar is happily married with two amazing boys. She resides in Yuba City where she was born and raised. She’s a Liberal Arts major and hopes to become a primary grade teacher. She currently works for an after school program as a para educator. I hate Monday’s and the sounding alarm that jerks you awake from sunny, sheep, filled pastured dreams. I hate traffic, when someone with a busier and much more fulfilled life than yours, needs to cut you off or run you off the road to get to their busier, more fulfilled life, two minutes earlier. I hate not having 5 minutes alone with the bitter sweet smell of coffee and croissants. I hate stubbing my toes and chipping last night’s perfectly done pedicure. Now having to walk with a throbbing fat pinkie toe. I hate making sure my husband packed his lunch, then forgetting my own lunch, only to decay on the counter for the next 12 hours. I hate showing up 5 minutes early only to see the meeting was cancelled and now you have 2 hours free, 2 hours away from your coffee, 2 hours away from your fluffy bed, and 2 hours without snacks. I hate how the browser only has article after article of traumatizing news on their headlines. I hate how when you don’t try to look decent you run into an old classmate. I hate being unprepared and I hate preparing. I hate how all that I hate is in the morning. I hate that I hate, hate. I love cool crisp mornings and my husbands “quiet” giant feet puttering around the house trying not to wake me. I love calling my family and hearing their voices in the morning. I love eating last night’s dinner for breakfast and a croissant on the go. I love getting a coffee for brunch and sitting under the trees, reading my new favorite fixer upper book. I love seeing that the dollar is up just in time for our trip to Italy. I love seeing the amount of volunteer work that gathered to help fellow Americans in the news article. I love messaging my friends about the hilarious conversations we had over our pedicure date last night. I love seeing a familiar face that reminds me of simpler times. I love the smell of flowers as you pass them, the surprise of raindrops, and the laughter of strangers on their way to school. I love when I realize there is so much more to be happy and grateful for than there is to hate. I love when I don’t hate on hate so much. When I first started reading this story, I thought it would be heading along the same lines as Alexander and the Terrible, Horrible, No Good, Very Bad Day. It had some very relatable and detailed descriptions of those “not so great moments” that we all face throughout the week at one point or another. As I continued reading, the story took a positive turn and referenced all the lovable moments in life. This brought a nice sense of balance to the poem. Something that stood out to me was how the author used some of the same topics in the poem with different emotional filters. For example: “I hate stubbing my toes and chipping last night’s perfectly done pedicure. Now having to walk with a throbbing fat pinkie toe” and “I love messaging my friends about the hilarious conversations we had over our pedicure date last night.” The pedicure is the common ground, but can be put under different emotional lenses. Four children, all hurting from the effects of WWII, fathers gone to war, mothers constantly working. They all wondered why the world had to go through this, why it had to ruin their lives. The children just wanted to escape from life, with no other outlet, they turned to the power of their imagination. “ Where should we go next?” asked Christopher. “How about Europe?” suggested Lily. So off they went, to Europe in their make-believe land, escaping the cruel world of reality. When all four children were done playing in their imaginary land, they discovered something quite strange, they were unable to return to reality. They were actually stuck in their imagination, with no way of escaping. Christopher, Lily, Joseph, and Drew, were completely puzzled and were starting to worry about how they were ever going to return home. They searched high and low for some sort of portal or way out, but they found nothing. The four children decided to split up into groups and search, Christopher and Lily were to go north, and Joseph and Drew to go south. The children searched for hours, when finally, someone made a discovery. “I think I found something!” Joseph exclaimed. Drew ran over to Joseph and discovered him standing in front of a small cart with a sail, set up on a sort of train track going over a lake. “Lily! Christopher! Come here, we found something!” Yelled Drew. Christopher and Lily came running down the path. “What is it?” Asked Lily. “I’m not sure, but I believe it may take us where we need to go” Joseph said. So off the four children went, riding down the track. If there was an answer, they would find it there. I think that this story is a great example of how Harris Burdick’s pictures work to inspire creativity and help develop a narrative. It is difficult to look at any of those photos and not have your mind automatically start trying to construct some kind of story or explanation as to the origin of the contents of the image. Sometimes creating a story out of thin air seems like a daunting task, because it can be difficult to find where to start and what to write about. 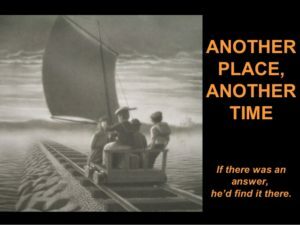 Kristine used the picture “Another Place, Another Time” as a great jumping off point and was able to expand from there. Using the image as inspiration, lead to a nice expression of creativity. The use of dialogue was a nice choice because it made you feel more connected with the characters and their plight of being stuck in their own imaginations. The cliffhanger ending of the story gives off the same type of mystery that the image does. Author Bio: Jake Muck is the oldest of four siblings and a transfer student from Southern California. 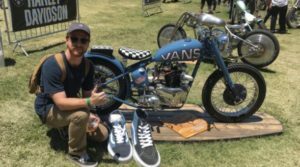 He is majoring in Liberal Arts and works as a manager for Vans at the Chico Mall. He has one year and a semester left at Chico State. He is not entirely sure what he plans to do after graduation, but most signs are pointing towards joining the Airforce. Yay storytelling! Nice work people! Make sure you included a description of your process and why you made certain choices in your text in your post. I look forward to reading them all on Monday. The ones I have looked at are awesome. Writing stories is hard! Make Cycle 3: Engaging Expositions is now up on our site. You can find the link here and from the “Make Cycles” drop down menu. (Make Cycle 1 has now been archived to the Make Cycle page). As I mentioned yesterday, we’re reading chapters 2 & 3 and appendix C & D for next week. Then, moving to expository writing mentor texts and makes. Featured blogs should be up by Tuesday highlighting your stories! Thanks everyone for your efforts! Oh my gosh: I loved loved loved reading your insights into the About the Authors chapter and the 1st grader’s writing! Sounds like you are enjoying the book as much as I do and your responses were so good! Seriously. So good. Grade update was sent today (Monday, 9/11). One thing that was interesting if you read through all of your posts is how many of you noticed spelling on first glance at Josh’s Mammoth story. Some of you talked about the impulse to correct all the spelling and how you realized that may not be the most helpful approach. I really appreciate how much you are all puzzling over that challenges of writing with little kids and noticing the interesting thinking they are doing. Josh is doing such interesting work with spelling and clearly is starting to understand that words are made up of patterns. 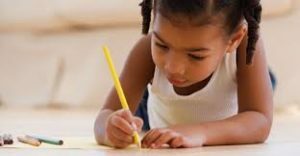 You might find this article helpful for thinking about spelling specifically: we really do gain understanding over time. If the first thing a child sees on her writing is lots of corrections and red pen marks, she’ll stop writing so much. It’s all about picking the things to correct and knowing that over time you’ll see growth. But they must be writing for you to see growth, so the amount is important. It’s also about knowing which things to address in a mini-lesson with the whole class and which things to address with an individual student. I decided I didn’t need a new video this week since I talked in last week’s video about the two week Make 2 Cycle. Up next: you’re reading mentor texts this week (The Dot, Alexander…, and Harris Burdick/”Moving Vines”) and thinking about their structures you might borrow for your stories. And writing stories! I gave some ideas in last week’s video. Our featured curators for this cycle are Tamara, Elizabeth, Grace, Sophie, and Jake. They’ll be reading through our work and highlighting our cool ideas and stories (I sent you five an email yesterday with some info). If you have not yet read the featured blogs from last week, you should. Many of you were highlighted! Thanks again to Alice, Jessica, Rafael, Caleb, and Bailey! Thanks everyone. This is a great group of humans in this class. Appreciate your work. As I mentioned in this week’s video update, we are starting to introduce our “featured curators.” At the end of each two week Make Cycle, a handful of students will highlight and feature the amazing work of their peers. 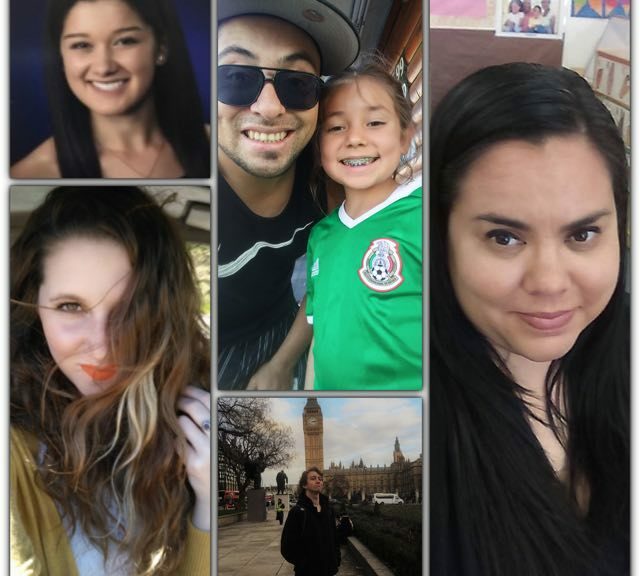 These bloggers will also summarize for us the ideas we have been working with in the course and our “take aways” for that particular Make Cycle. Generous thanks to Alice, Bailey, Rafael, Jessica, and Caleb who agreed to go first! So grateful for the work they did in reviewing all our makes! Enjoy their write ups below and thank you to everyone for providing such great makes and insights for the curators to work with. I felt that this first Make Cycle went very well. We started off the week by introducing ourselves to our class in order to start to familiarize ourselves with one another. Along with this, we wrote about writing and what exactly we feel counts as writing. This gave us a more broad perspective on the many different things writing can count as. By Friday of the first week, we read and responded to three different texts. 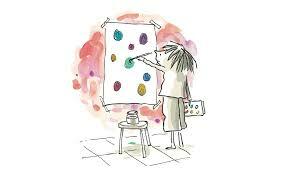 The first text was a children’s book by Kobi Yamada called What Do You Do With An Idea? This was a story about a young boy who at first pushes his ideas away, but later begins to accept them and positively impacts others with his idea. The second text was an article by Andrea Lunsford called “Our Semi-Literate Youth? 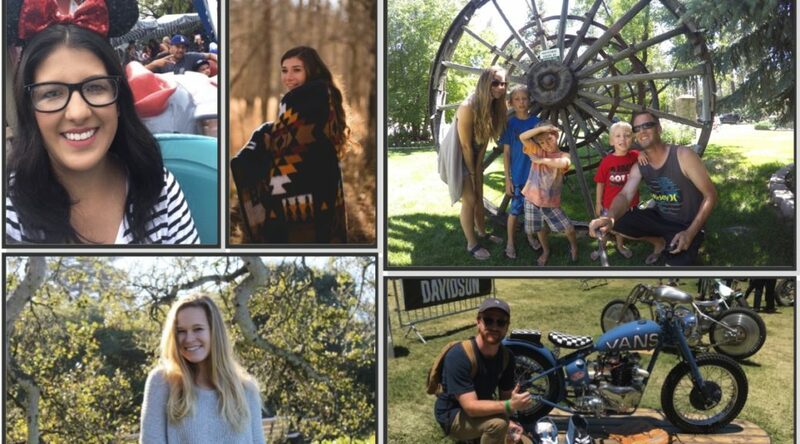 Not So Fast.” Lunsford explains in her article how this generation is able to use technology with social media in a positive way. The youth have developed a series of tools and are able to adapt and talk to their audience in the appropriate way. The third text was a TED talk by John McWhorter called “Txtng is Killing Language. JK! !” In this TED talk, McWhorter pushes the idea that texting has made youth able to talk to people with ease, or be formal when the time is right. He mentions the fact that the older generations were very formal, lacking the ease of talking that youth have mastered. These texts were all very similar because they made the reader acknowledge a different perspective that most had not taken into consideration. All my classmates had very detailed and well thought out responses. When reading over them, I found Sophie Tisdale’s points very interesting. She talked about how texting does not damage our ability to write formally because texting and writing are two different things. Then when talking about McWhorter’s TED talk she mentions how these “little screens” aren’t ruining us. She mentions the point McWhorter made, which was that each generation has used a different form of communication, and for us it is through our phones. I found both these points very insightful. Week two, our first assignment was to look at three different forms of writing and find which lines we liked and why. Along with this, we noticed what style of writing and structure is used and the impact it makes in the text. The first text we looked at was the children’s book Chrysanthemum by Kevin Henkes. This short story was about a little mouse who went to school and was continually teased for her long name, Chrysanthemum. She didn’t like her name because kids teased her, but in the end her teacher reveals that her name is long too and all the kids want a long name. In the end, Chrysanthemum is proud of and loves her name more than anything. The second text we read was the poem “A girl named Jack” by Jacqueline Woodson. This poem was about two parents who disagree on what to name their child. In the end they come to a sort of compromise but mainly the wife had control of the child being named Jaqueline. The third text was “second daughter’s second day” also by Jacqueline Woodson, a poem about the injustices African Americans are faced with. The girl narrating explains all the powerful people who have stood up to these injustices and explains how she does not know exactly what the future holds for her and only time will tell. All three texts used italicized words in order to make certain parts stand out to the reader. This was a very subtle and powerful technique that made a big difference in their writing. Along with this, Jacqueline Woodson placed spaces in between lines as a way to change the subject or make certain lines stand out which was very powerful. I enjoyed reading Rafael Sevilla’s post when he read “second daughter’s second day.” He explains how the author was “capable of painting a picture using history to describe their personal history.” This made a big impact on the poem because people are able to relate given the background story. Augusta if she’s a girl. and power when it is called. Father threw out, hoping for the best. She wrote about her name and the process her parents went through in naming their child. She included rhyming in some of her lines and then switched to short phrases that were very impactful. She ended with: “Or perhaps she would be where she is today. Perhaps our names don’t shape us at all. Or perhaps they are our destiny. Perhaps, they mean nothing at all.” This was a very thought provoking ending that left the reader thinking about the meaning of names. Grace did a nice job of incorporating the mentor text, Chrysanthemum, into her make. Overall, Make Cycle 1 went very well and I am excited to see what is to come in the following weeks! Author Bio: Alice Mylod Vargas is from the Bay Area but came to Chico to attend Chico State University last year in 2016. She loves and is passionate about working with children so she is planning on getting her bachelor’s degree Liberal Studies to become an elementary school teacher. The articles and videos from these past two weeks have been both interesting and different from each other. Week one was focused on language and the different ways language can be used and changed. In the Ted talk we watched from John McWhorter, he states that a whole new language has developed out of texting. The articles from week one was about the differences in writing. The way people text and talk are similar, while the way people write is different, more professional and polished. How people write emails, essays, in their journals, on social media, and texts are all different. Week two was focused on names and who people are so our class could get to know each other. In the book Chrysanthemum, one of our “mentor texts,” Chrysanthemum’s name is repeated over and over throughout the story. She loves her name, thinks it’s perfect, until the kids at her school make fun of her, making her hate it. In the end of the book her music teacher praises Chrysanthemum’s name and then she thinks it’s perfect again. In the poem, “A girl named Jack,” the mom and dad are at the hospital trying to think of a name for their baby girl. The father suggests Jack; with the name Jack, she will have to grow up strong and people will “look at her twice.” He says that the name was good enough for him, so why not for her? The poem, “second daughter’s second day” is all about how one individual can make a difference. Woodson writes about the many people who made a difference in the African American community. The author doesn’t know what person she will be like or how she’ll make a difference, but she knows that she will. Week two also focused on literary devices. The book used repetition, and both poems used different sentence structures and formats to enhance what they were trying to say. Imagery and italics were also used to get the point across. I liked that for both weeks it was clear what the basic themes was, the videos and reading materials flowed together very well. heart in a small city. I chose this poem because of the use of rhyming, stanzas and personality. I loved everything about the first stanza, the line “born into the world with curiosity” really stood out to me. with embers and flushed cheeks. I chose this poem for the repetition and amazing imagery. Every line omits an image in your head, which really helps to imagine the place that is being described. “I’ll cook, I’ll clean, I’ll do everything! “An artist! A movie star! A singer! “What am I good at? What are my qualities and traits? “An elementary school teacher, of course! This poem was so much fun to read. You can easily imagine children at those ages saying those exact things. I loved the rhyming, which added to the playful tone. I like the format of this poem as well. I think the mentor text that inspired this poem was “A girl named Jack”; the format is similar but everything else from the poem is uniquely hers. once, just to try it. though I don’t know how. I loved that this poem had humor in it. I also loved that the rhymes were from start to finish. I enjoyed the imagery in this poem as well: I could imagine almost every line. 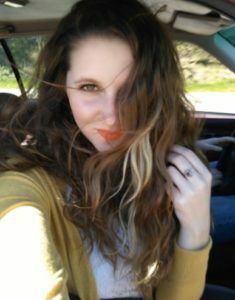 Author Bio: Bailey Nicole Pickard is in her third year of college, and her first year at CSU, Chico as a transfer student. She looks forward to becoming a special education teacher or a kindergarten teacher, or perhaps both. It is amazing to see so many students and the work(s) they produced and how they shape their makes. Whether it was made using Little Bird Tales or following a format taken from our mentor texts, or even just something different that came together for them, a lot of the works I read told stories, each with their own individual style. Personally, it is really cool seeing people post on a community and see their creativity and their interpretation of the assignment come to life. This is what I find most interesting: the sharing of ideas between all of us, without any regard or worry for what is written, then sharing in our community. When I wrote my Make, I aimed for the people who took time to read it to find something that stood out to them right away. The style was my own personal take on what I wanted the rest of our Google + community to know and embrace as they read my bars. As I read through the rest of my colleagues Makes, I started to embrace what they had posted, along with any pictures or audio that came along with it. The storytelling begins to take great shape, and this is only Make Cycle 1! I was really impressed by the works posted and a few of those I will highlight below. The simplest form sometimes comes out the best. Kristine Cowan’s reflection on how she came to write her poem is great. She had never really written poetry before and started to write down lines that rhymed in an effort to tell us the story of her name and in her words “failed miserably.” Before long she realized keeping it simple and dropping the rhyming effort would be better for her. Her simple lines tell us how and why her name is important to her and how she will always have a piece of both her parents with her forever. Her “miserable failure” becomes her poem that makes you feel the love she has for her name and the greater love she has for her parents. But Won’t They Need Socialization? But Won’t They Need a Credentialed Teacher? But Won’t They Miss Out? But Won’t You Get Sick of Them? Stacie Beadel’s technique of repetition is used so well in her poem about her family and the children being homeschooled. The facts she presents her work in a very pro vs. con style makes for an interesting read. I can tell that she is very passionate about her beliefs but is also open to a dialogue about the opposite of her beliefs and stands her ground on them. I can feel her children and their schooling are important to her and her family. The entire family is a blend of public education and her style–unapologetic, real, totally awesome–and I think I’ll be fine with that. I chose her work because it grabbed me right from the initial read and kept me long after I stopped reading it, thinking about the way she educates her children. “I grew up in a small town where everyone knows everyone, good and bad.” This line is everything to me because I too grew up in a small town. I love the style Samantha Prosser uses in telling us about where she was born and where she is from and what it all means to her. I can relate growing up in a small town. It is almost like growing up in your own bubble and you either get out or you don’t. That’s where this piece captures me as a reader. She left to chase her dreams of playing softball and while she was away from that little bubble where “everyone knows everyone, good or bad” she decided her dream wasn’t what she wanted. That small town will judge you in whatever you do, so she had the pressure from there and decided her dream was to make a difference in a child’s life. Sometimes life is not what you pictured it would be and Samantha’s piece showed me that was her reality and all of our reality, and sometimes that is very much okay. Will I still be in the same school? Will I have my same friends? Why is it so hard then? Sometimes you read something and all you can think about is walking a mile in that person’s shoes. Jessica Maldonado’s “Not Knowing Is Hard” piece is so vivid and descriptive but written in short stanzas. She takes us on a journey and keeps us captivated by the constant uncertainty in her life. It makes me really think about just how much harder some people have had it and how much they have done to get past those hard times. I could feel her emotion in her writing, something that is not easy to do, but I could feel it through the entire poem. Her hopes, her fears, her not knowing is evident and makes for an amazing piece of writing. For being the first week, it was really nice to read a lot of different works from people from all walks of life. I feel like being in an open community on Google+ makes for a much better interaction between all of us as the semester goes on. Reading through everyone’s introduction posts, all the way to our first makes, let’s me know a little bit more about each and every one of the people in this class. You cannot beat human interaction: I believe it makes us better people and in turn will make us better educators. I look forward to continuing to see how everyone’s work turns out and progresses throughout the rest of the semester. I wish I could post something about everyone’s work, but I always get too wordy. Our class so far has put out great work, so keep up the great work! 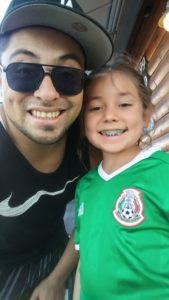 Author Bio: Rafael Sevilla is a father of two amazing girls Aaliyah Renee and Sophia Raquel, and a future husband to his fiancé Sarah. He is currently finishing up his Bachelor in Social Science and begins his credentialing at Fresno State in Spring 2018. He will become a future educator in history and looks to change lives. The first make I chose to highlight this week is from Jessica Gregor. She made her make from the Little Bird Tales website, and did a fantastic job. Her tale was about how she came into this world. With her mother being 8 months pregnant, she reads with enthusiasm about how her mother goes with her Aunt to Vegas for a final “hurrah” before the baby comes. While in Vegas at the craps table, she goes into labor, the Aunt calls her Dad, and hours later Jessica is born. The story seems simple enough, but the illustrations used really flow with the story. Jessica did an amazing job using the Little Bird Tales website. She read her story as if reading it to a group of small children and even made noises to bring it more to life, like when the phone rang she read “Ring, ring! Ring, ring.” This was a perfect example of how a Little Bird Tale should be created in terms of introducing yourself to others. Looking back on the last few weeks of the work we have done in class, I’d say that Jessica Gregor was able to use the mentor texts we had gone over and was able to utilize them into her own make. For instance, the mentor text Chrysanthemum that we listened to had a soft, calming tone of voice where it was more inviting to listen to. Jessica had this same tone of voice used in her make, and the simplicity of it made it very understandable for any age. Another exemplary make I would like to highlight is from Rafael Sevilla (one of our featured bloggers this week: see above). He chose to write a poem about his father who had passed two years ago. It simply was amazing and brought tears to my eyes, as I just lost my own father a few months ago. One of my favorite parts of Rafael’s poem is when he says: “It’s been almost two years since he passed. And I haven’t lost my mind without him. it’s a miracle. I get really sad thinking about my Dad. Thinking about all the memories and the best friend I ever had.” You can almost feel the deep connection that he felt with his father through his words. It’s hard enough to lose somebody, but harder when it is someone that has such a deep connection like this when you don’t know how to move on or how to let go. I commend Rafael on choosing to share such an intimate part of his life. I feel that Rafael’s make comes from our mentor text “second daughter’s second day” because even though he writes about a sad tragedy that has happened in his life, it is also filled with hope and determination that he has “large shoes to fill.” Just like in the mentor text, they were talking about the “what ifs?” and the “what will happen when….” this little girl who is only two days old will either grow up in an integrated world or a fight of segregation that will continue to be fought on. We never know what is going to happen; all we can do is do it and see the outcome. She thought nursing would be cool. To help support her family. Until her marriage hit the skids. She and the kids moved far away. She really takes a lot of her years and crams it down into a few words, which I think is amazing. Her poem reminds me of our mentor text “A girl named Jack” because it is so detailed in such few words. In the mentor text, I could picture the mother and father arguing about what to name their baby girl, just as I could picture everything about Lisa’s poem. Overall, I thought everyone put a lot of thought into their makes and I had a wonderful time going through them all. The ones I chose to write about really touched my heart, and in some way, I felt a connection to them. I look forward to seeing what other projects and makes our classroom has to offer because there is a lot of talent here. 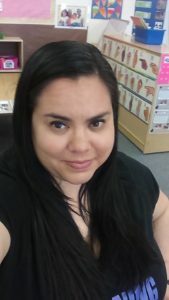 Author Bio: Jessica Maldonado currently works for Tehama County Department of Education as a preschool special needs assistant. She transferred from Shasta College into her junior year at Chico State University. She is working towards a multiple subject credential and would also like to obtain a special education credential as well. She has been married for 15 years and has four daughters. In her spare time she loves spending time with family, going to the movies, reading, and shopping with her girls. It is always fascinating being a third party observer to someone’s thought process. Whether they think of things in a rigid technique and execution way, or they think in a more flowing and emotional manner. This week I observed people analyze our texts from both poles, neither one being correct in their means of analyzing, but simply thinking about it in a different way. That’s why I decided to celebrate the work done by Jake Muck and Tamara Ligon. 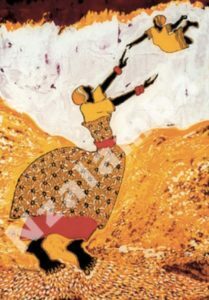 In response to our mentor texts–Chrysanthemum, by Kevin Henkes, “A girl named Jack” and “second daughter’s second day” from Jacqueline Woodson’s Brown Girl Dreaming— Jake dove into the technique of the pieces while Tamara made the stories her own by responding to the text using her personal experiences. Jake’s analyses looks at the “rich vocabulary,” the use of repetition in the pieces, and how reading them felt. 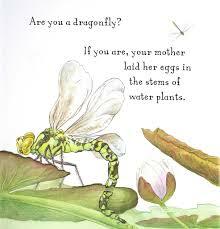 I especially liked how he pointed out the continued use of metaphor in the book Chrysanthemum in which the kids at school jeer at Chrysanthemum because she is named after a flower; instead of saying Chrysanthemum shrank into herself, the author chose to say Chrysanthemum wilted. This continues the metaphor that she is named after a flower, yes, but additionally it affirms that if you let bullies get to you, you will become what they say you are. A very important point to make. It was an aspect that I did not catch earlier until Jake pointed it out. On the other side of the coin, Tamara pointed out that all the texts have to do with childhood identity. Noting that she had hated her name and had struggled with her identity in her past. Tamara goes through each piece writing on what resonated with her, and I especially enjoyed reading her analysis of “A girl named Jack.” She looked at the text from both the mother and father’s view on naming their daughter Jack. Tamara’s views are engaging read and it was an honor reading her analysis. The last piece from our first make that I would like to celebrate is Stacie Beadel’s poem, which also included above in Rafael’s curated list. Stacie’s piece is heartwarming, deep, thought provoking and delightful all in a few stanzas. The way she withholds the subject throughout the poem until the self-analysis is pure genius. It makes the whole text so much more powerful, reading it feels mysterious as she unfolds each aspect of her topic one at a time is just a brilliant move. I know there are more brilliant works out there that I did not mention, but I highly recommend checking out the ones mentioned here if you have not already. 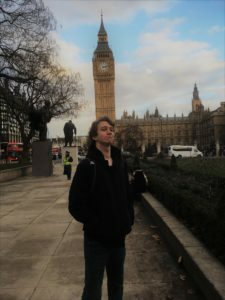 Author Bio: Caleb Johnson is a second year student at Chico State in the Liberal Studies major hoping to teach early elementary school. The reasons for this career choice is that he “simply adores kids” and appreciates the way they think and decipher the world around them. Here is your weekly Friday update heading in to week 3 and Make Cycle 2! Thank you so much for the work you’ve done so far. Really enjoying reading your poems and seeing your Little Bird Tales! Please remember that your make is due tonight (Sept 1) for Make Cycle 1. And say something nice to another person! Peter Kittle’s class is sharing their makes too, so the Make Cycle 1 category on G+ is hopping. I sent a link to your email yesterday asking you to please let me know if you have the About the Authors book. You have some work with the book this upcoming week. **Honestly, it’s freaking me out a bit that only half of you have clicked on this link. If you’re taking on an online class, you should really be checking email every day. We are moving into two weeks of thinking about storytelling: why we tell stories, how we generate ideas for stories, and how we might write our own stories. You’ll see the Make Cycle 2 Page has been added in the drop down menu under Make Cycles. Finally, I’ve archived the videos and the instructions for Make Cycle 1. Hope you’re staying out of this heat and smoke for the labor day weekend! And thank you again for the incredibly thoughtful work you’re doing.